Cathlyn is now schooling 4th level/PSG and is excelling quickly as the work is easy for her due to her talent. She's got half steps, beginning piaffe and nicely developing passage. Cathlyn has the talent to be a very successful Grand Prix horse in the next couple of years for sure. This coming two year old filly has excellent confirmation and top gaits. 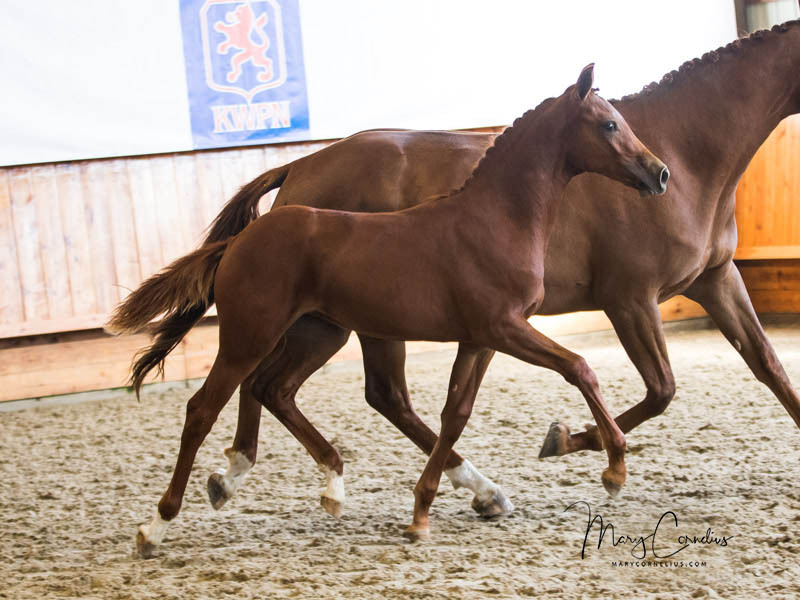 Her movement is expressive and very powerful with an exceptionally strong hind leg.